Mio Tesoro is indeed a treasure trove like no other in Melbourne. Dealing exclusively in pristine condition, high end, pre-loved designer items for sale or consignment. 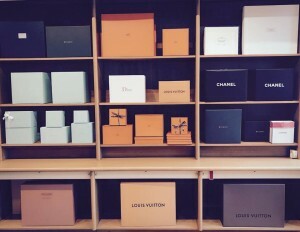 The store is filled with Chanel, Louis Vuitton, Hermes, Bottega Veneta, Balenciaga, Marni and Chloe. Mio Tesoro’s exceptional collection is what sets them well apart from the rest of the resale boutiques in Australia. Extreme care and scrutiny is dedicated to ensure the best of the best in quality, condition and designers are considered. Mio Tesoro’s exclusive selections include rare vintage pieces to current season’s most desirables.